TRURO – Newly announced support for business will be one of the topics to be discussed at a Chamber breakfast next month with the federal Small Business Minister. On April 8, Truro and Colchester Chamber of Commerce will host a roundtable breakfast with Mary Ng, Minister of Small Business and Export Promotion. Ng will speak about benefits for small business identified in the Liberal’s 2019 budget, released on March 19, along with answering questions presented by the business community. One of the the recently announced benefits, support for rural broadband, could help grow business in the Colchester region, said Chamber president Ron Smith. While the Liberal government has committed $1.7 billion, specifically earmarked for rural and remote and Northern communities as part of its plan to have Canada-wide high-speed internet access by 2030, swift action needs to be taken by Internet Service Providers to get projects moving as soon as possible. Last fall, the Truro and Colchester chamber was among 450 chambers from across the country to vote on policy recommendations that were forwarded to the federal government for consideration. The budget recognizes some of those recommendations, such as expanding Work-Integrated Learning (WIL) programs, new partnerships with industry for WIL, and enhancements to skilled trades apprentice programs. However, two other major barriers to growth identified by Truro and Colchester chamber members, and echoed by business across the nation, were not addressed in this year’s federal budget. The Chamber has joined calls from across the nation for a comprehensive review of the taxation system to make it fair and less cumbersome for businesses and a broad-based commitment to reduce the regulatory burden on businesses. The Chamber will continue to work with the federal government to ensure the voice of the business community is heard to identify critical priorities for them to maintain competitiveness and prosperity. 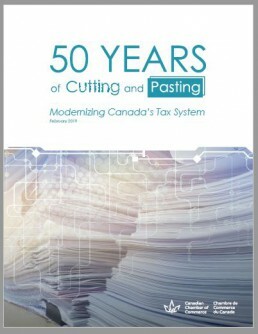 A report 50 Years of Cutting and Pasting, Modernizing Canada’s Tax System is available on the Chamber’s website, www.trurocolchesterchamber.com. The breakfast with Minister Ng is open to anyone in the business community, however, the cost to attend is $25 for Chamber members and $30 for non-members. The Truro & Colchester Chamber of Commerce has been the voice of business in this region for 129 years. It represents more than 430 member businesses and advocates on their behalf at all levels of government on issues of political, economic and social importance.